Entrance draping is a great way to transform a doorway from bland to exciting, the fully customisable draping makes it the perfect way to incorporate into your wedding theme from the simple white to other colours. 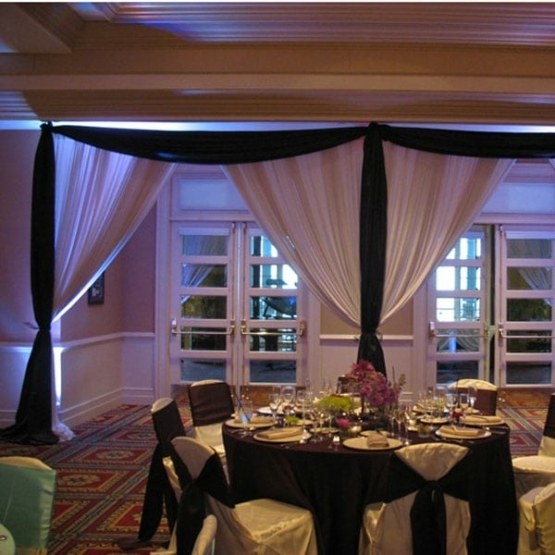 Our draping can come with or without lighting depending on your requirements. The free standing systems mean we can place our draping almost anywhere to create a beautiful walkway for your wedding or event. Enhance windows, walls backgrounds and spaces with our bespoke window draping system. The curtain is perfect for enhancing the window frames of bland walls making them softer, romantic and a beautiful backdrop for photographs, brightening the walls or covering unsightly spaces. The entrance draping is erected on a freestanding structure which can be positioned anywhere in a room, with completely adjustable heights So for more information on ways we can decorate your windows just get in touch! Star Lighted Backdrops Twinkle Starlight Wedding backdrops are fantastic way to add some sparkle and delight to your wedding or event day. They are great as a photographic backdrop for the wedding album and photographs and have the ability to transform and soften the ambiance in any room. Lighted Backdrops are a great way to really draw attention to the bride and groom at the top table and are excellent at the disco once the party begins. Our Lighted backdrops have the ability to quickly transform a room hiding unsightly or boring walls, décor, or other unattractive features a venue may have. 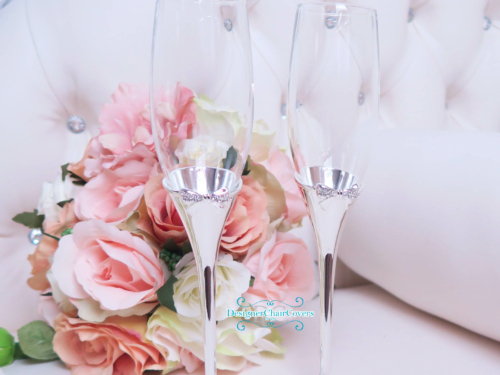 They are superb for any wedding theme enabling extra dazzle if you have gone for a more subtle colour. It is also a fantastic idea to use if you have chosen to have a winter wonderland wedding theme or party which proves very popular within the Christmas months. We have a variety of sizes of Twinkle backdrops available for hire. It is possible to choose a Cake Table sized backdrop or the average Top Table Backdrop, we also provide an extra large curtain available for those who want that extra bit of magic! Our Starlight Wedding Backdrops can be set to twinkle or remain constant depending on your wishes. Unique floral garland backdrop with beautiful silk flowers to match your colour scheme. Soften the drapes with gorgeous flowers. The garland are carefully attached to the backdrop creating this beautiful head table for your big day! Stunning silver urns for centre stage of the top table or aisle. 50cm in height and perfect for a large beautiful floral arrangement. 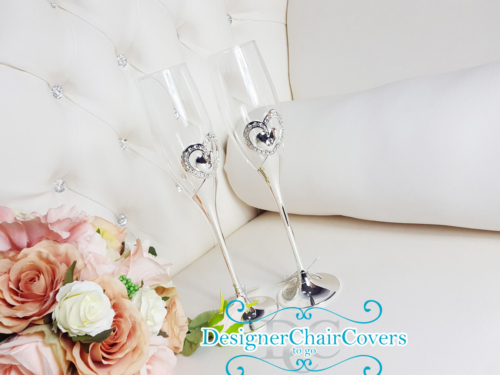 The high shine vases make a perfect decoration piece for events, parties and weddings. Get in touch for more information. A Clean Stage design for bands at weddings or events. We can build the stage, carpet and provide matching or custom steps. The stage is complete with a plain draped backdrop to give it that clean look. The flower panal backdrop is a modified version of the chandelier backdrop. With Kim Kardashian inspired floral panels integrated into the backdrop for added colour and intrigue. Customise to match your style and decor. Have questions just ask..
Cascading Flower Wall Available in ivory with custom add on colours such as blush pink, peach, neutral tones. Beautifully created and stunning for the stage or your head table. Fairy lighting in the form of string lights and and curtains are a great addition to any room.Spruce up your venue with these warm draped lighting. Often used at Great Fosters and many barns around we can create a warm atmospheric effect with the curtain lighting. Perfect for Christmas, evenings and Dinners. Need help? Get in touch for more! The Joining Blossom trees for the perfect head table, entrance, over arching and dramatic walkway. We have these trees in white and a pretty pink The trees stand at 3M in height and roughly 3M wide so need enough space to really get the attention of your guests. We can hanging glass balls from the tree or ribbons or many other items Need more info.. Talk to us today! The flower wall is created custom for each and every one of our clients. The couture wall has texture and is made of a mix of flowers like roses, peonies, orchids and roses. The ombre effect can go either direction just let us know! For those with a love of pink! The floral arch made of quality roses and hydrangeas The arch is a stunning option to create a showpiece framed area for you and your partner. Ivory arch florals for that subtle understated look. Giant 3M tall ivory blossom trees. Hire the pair today for the entrance or various areas of your wedding or event.